For all of your residential and commercial needs, call the VT & NH plumbing experts at HB Energy Solutions! We offer comprehensive plumbing repair, maintenance and installation services for your entire system, including fixtures, drains, sewer lines, gas pipes, water heaters, sump pumps, and well pumps! Give us a call at (802) 885–2300 or schedule an estimate online today. If you are looking for southern VT or NH commercial plumbing services, HB understands the value that a business has in its community. Whether at a local hospital, church, school or office building, our expert plumbers will provide excellent service while allowing business to continue as usual. We also offer bathroom and kitchen remodeling services, because we also understand the value an upgraded kitchen and bathroom can add to your home. Are you a resident of Southern VT or New Hampshire in search of a plumbing installation expert? Whether it is a new high–efficiency toilet or a dishwasher – we can get the job done right. Our VT & NH plumbers are trained to install any type of plumbing equipment quickly and efficiently, and we can take over the routine maintenance to ensure that your plumbing system works for years to come. Our expert technicians will size the fixture or piping and then remove any existing components to prepare for installation. Finally, the new system is installed and subsequently tested so that we can ensure it works properly moving forward. Most major plumbing installation jobs take less than a day, though some drain line or water line installations may take more than a day depending on how intensive they are. Call HB Energy any time to set up a consultation. If you need someone to visit your home or office to fix a leaky faucet, broken water line, clogged drain or any other plumbing repair issue, give HB Energy a call. 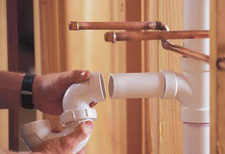 We offer 24 7 plumbing New Hampshire & Southern VT residents rely on. Our team of ecpertly trained technicians can repair all major problems, and our master plumbers will work on all systems in your home including domestic waterlines, septic, water heaters, and all types of piping, even locating external pipes and septic tanks. To help prevent issues with your plumbing system, call us today and ask about our comprehensive ongoing maintenance services. We can visit your home each year and ensure your plumbing system is working properly from the start; we check for any issues that might lead to possible repair calls later on. Using cutting edge technology like video camera pipe inspection, we can check for problems in your drains and water lines and ensure they do not develop into major issues. If you have a new construction project, call the plumbing specialists at HB Energy to help you design your new space and select the right products to make your home or business dream a reality. HB’s excellent reputation has secured strong relationships with local contractors, ensuring a team approach to your new construction. Our unique combination of experts and services means you will have a single contact person to provide installation of all your plumbing and electrical services. 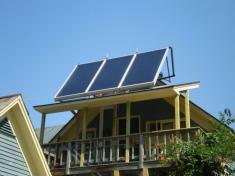 HB Energy Solutions offers free estimates so that you know the price before we begin any project. Call HB Energy to set up an appointment or to get your free estimate.